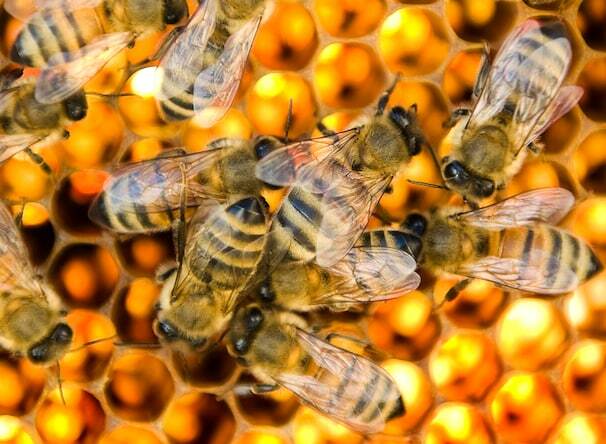 Are pesticides causing bee colonies to collapse? We don’t really know for sure, and that is the problem with how we approach technology. Well, while we know most of the pros, there are plenty of cons (like maybe wiping out out bee populations) that we don’t really yet understand. Pesticides have become an enduring feature of modern life. In 2007, the world used more than 5.2 billion pounds of weed killers, insecticides, and fungicides to do everything from protecting crops to warding off malaria. And that’s led many researchers to wonder what sorts of broader impacts all these chemicals are having. They’ve helped feed the world, yes, but they may also be causing health problems elsewhere. To that end, the latest issue of Science has a fascinating special section on the world’s pesticide use. This is a great example of how we push technology forward because we can (and we can see immediate benefits, and profits) without always grasping the net cost on health or the planet. And the thing that has always troubled me is that instead of the burden of proof being on those who want to develop and use a technology (to prove it is safe and a net benefit), the burden of proof tends to fall on those who suspect there are problems (to prove it is not safe or a net benefit). Smoking is another great example. Sometimes, of course, we can’t assess the full impact of a technology, pesticides in this case, until it has been field tested on the planet (and on us). But it would be nice if the system was set up to better monitor and assess the balance of good and bad any technology does. And it would be nice if the environmental and health impacts of any given technology were priced into the actual cost. Right now, the industries that reap the benefits of using potentially harmful technologies have too much influence over how the technology is assessed (and regulated). Three long-term cohort studies now suggest that certain chemical pesticides can interfere with brain development in young children. And some experts suspect that a class of pesticides known as neonicotinoids are at least partly responsible for the recent collapse in bee populations (though this is still disputed). There are other, lesser-known impacts as well. Australia’s wheat farmers are now dealing with one of the worst weed infestations in the world — an issue caused in part by overuse of herbicides, which led to resistant weeds. And some 300,000 people kill themselves each year by ingesting pesticides, largely in Asia. That’s one third of the world’s suicides. It’s the unintended side effects that get you every time.